Following the smashing success of the original Engine RTA, Chinese manufacturer OBS has recently released a Nano version of its popular tank. Contrary to what the name might lead you to believe, the OBS Nano is the exact same size as the standard model, but it does feature a single-coil build deck instead of the original Velocity deck and an improved airflow system that’s supposed to improve flavor. In this review we’ll be taking a close look at these changes and determine if they make the Nano better than its older brother. 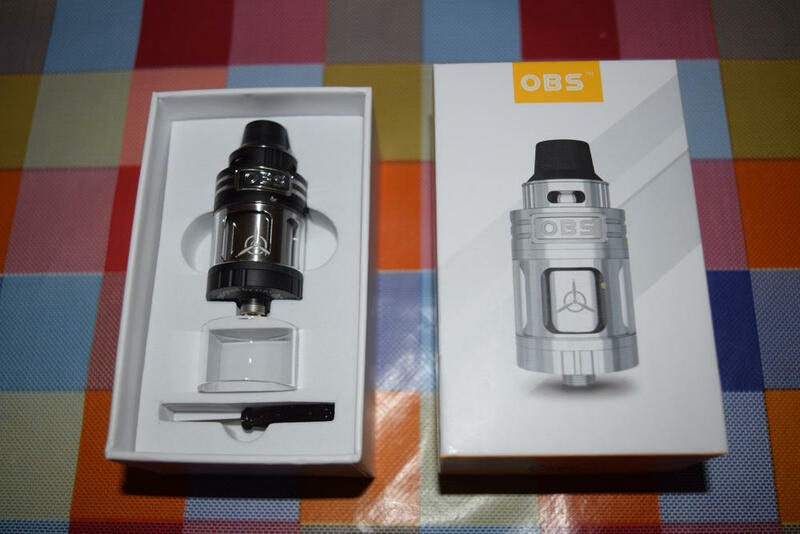 The OBS Engine Nano RTA comes in the exact same packaging as the original Engine tank – a white and yellow box with a picture of the tank on the front – with the only noticeable difference being the “nano” name placed above the “Engine” logo, on the sides of the box. On the bottom of the packaging, we have a short description of the product, a list of contents, and an authenticity code. 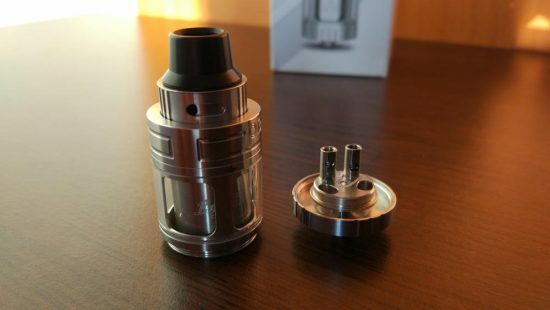 Inside, the OBS Engine Nano kit is identical to that of the standard tank. We have the RTA, a spare glass tube and an Allen key sitting snug in a foam holder, and underneath that is a small box containing some organic cotton, a handy user manual and a bag of spare parts (o-rings, grub screws for the deck posts and one Clapton coil). It’s a decent offering, in line with what we’ve come to expect from an advanced RTA kit. I was a big fan of the original OBS Engine tank, but having read nothing about the new Nano version, I was confused the first time I opened the box to take a look at it. 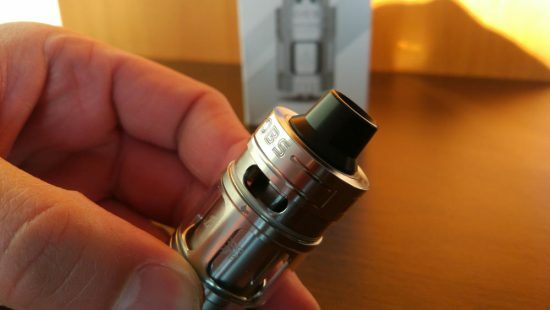 I was expecting a smaller version of the standard Engine RTA, like what the SMOK TFV4 Mini was to the original SMOK TFV4 tank, but the Engine Nano is the exact same size as the standard Engine, has the exact same exterior design (except for the tiny “Nano” label above the “Engine” logo on the tank barrel) and actually holds 0.1 ml of e-liquid more than the original version. Holding the two tanks side by side, you can barely notice any difference. But, in this case, at least, it’s what’s inside that counts. 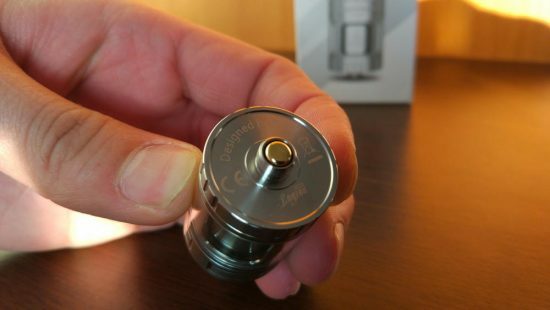 The OBS Engine Nano measures 54.5 mm from the base to the top of the drip tip, has a diameter of 25 mm and weighs 52 grams. It currently comes in three color options – stainless steel, black and gold. 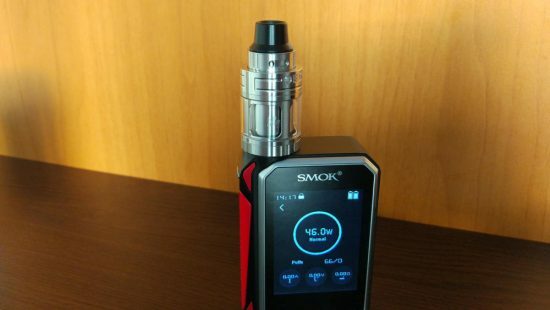 The e-liquid capacity is 5.3 ml, which is about average for RTAs these days, but more than enough for a single coil device. 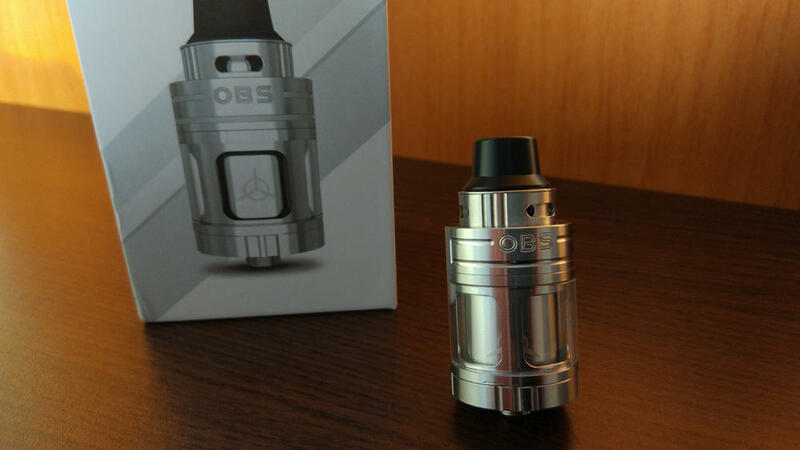 Since I’ve already reviewed the original OBS Engine RTA in detail, and the Nano is virtually identical in design, I’m not going to dwell on this too much. 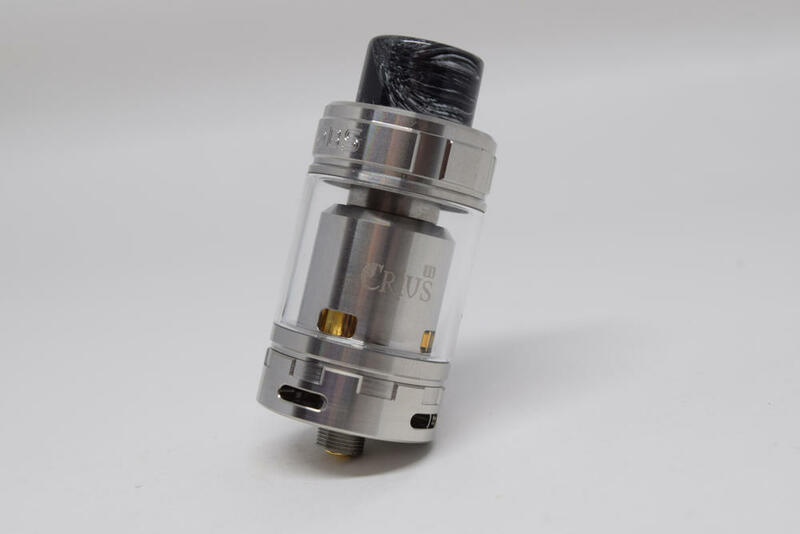 It has the same top-airflow-only design that prevents leaking, a top fill port concealed by a metallic ring right above the glass tube that has to be pulled up to access, and a removable 510 drip tip. 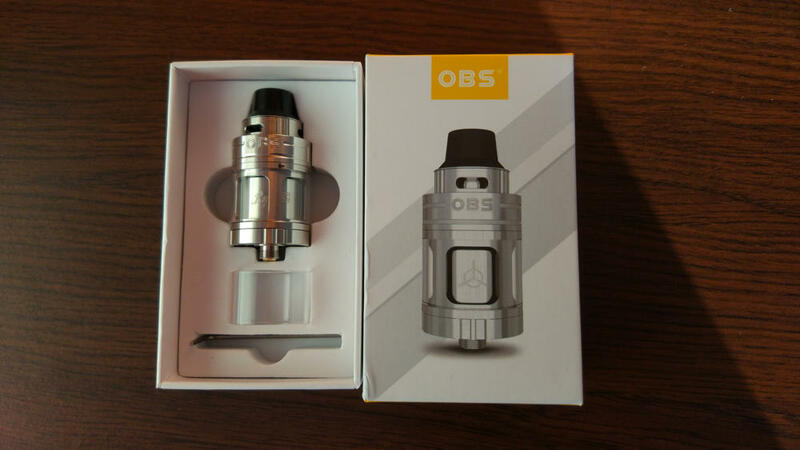 The OBS Engine Nano features a three-piece design that allows users to remove the base and the build-deck even when the tank is completely full, without wasting e-liquid. The gold-plated connection pin protrudes only slightly, so I definitely wouldn’t recommend using the Nano on a hybrid device, unless you’re asking for trouble. The build quality is impeccable, just like that of the original OBS Engine. The machining is great, there are no visible scratches when you pull the tank out of the box, nothing wobbles, and the threading is nice and smooth. I know a lot of people have their doubts when it comes to the quality of Chinese brands, but the Engine Nano is another example that Chinese devices have come a long way in recent years. Getting the OBS Engine Nano ready for your first vape is very easy, thanks to the simple design of the build deck. Once you’ve rinsed the tank to remove any leftover machining oil, unscrew the base and take out the included Clapton coil. You’ll notice that unlike the original Engine, which had a classic Velocity style deck suitable for dual-coil use, the Nano deck has a simple two post design that only fits one coil. The posts are very close together, and the wire holes are staggered, making inserting the coil leads easier than usual. All you have to do is unscrew the grub screws at the top of the posts, insert the coil, fasten it and clip the leads. That’s about it. As always, the wicking is the most important stage when setting up an RTA, and the OBS Engine Nano is no exception. The bottom of the build deck features two large wicking slots that lead into the juice well of the tank. You have to make sure that the cotton goes through these holes to reach the e-liquid. The cotton leads have to be thick enough to block off the juice from flooding the atomization chamber, but not thick enough to prevent e-liquid from saturating the wick efficiently. If it seems like you’re stuffing the holes with cotton, you’re probably doing it wrong. You want it to fill the holes, but not be dense enough to make it hard for the e-liquid to reach the coils. It’a always a good idea to juice up the cotton before you put the tank back together, to prevent any dry hits, when you use it for the first time. Assembling the OBS Engine Nano requires some attention. First of all, like the standard, Engine, it features a notch system that requires the base and the tank body to be perfectly aligned, otherwise you’re not going to be able to screw them together. So make sure the two little notches on the inner barrel of the tank are aligned with the two grooves on the bottom of the build deck, when putting the tank together. You also have to pay attention to the airflow holes on the inside of the Engine barrel. You’ll notice that one of them is larger than the other, so you want the big one to be in front of the coil, and the small one at the back, behind the deck posts. The coil gets hit by air from both sides, but it’s important to ensure that most of it hits it directly, from the front. Along with the design of the build deck, the side airflow system is one of the most important features of the OBS Engine Nano. In the standard version of this tank, the air hits the coils from above, coming through two slots on the top of the metallic barrel. This time around, they are positioned on the sides of the barrel, to improve the flavor of the vapor. Filling the OBS Engine Nano with e-liquid is also very easy to do. Just pull the metal ring above the glass tube upwards to reveal the large fill port (it’s marked with a drop icon and the word “up”). This is one of the largest side fill ports I have ever seen, so you’ll be able to easily fit any dropper or unicorn bottle in there. Since the OBS Engine Nano features the same top-airflow-only system as the standard Engine, it suffers from the same problem. If you don’t get the wicking just right, you’re going to end up with hot liquid in your mouth, and that’s not very pleasant. 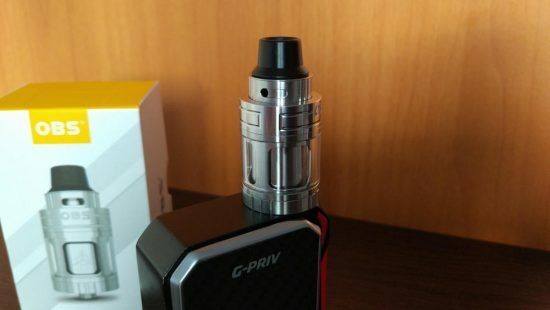 The lack of bottom airflow means you don’t have to worry about leaking, but also that any excess juice in the atomization chamber doesn’t have anywhere to go, but up. 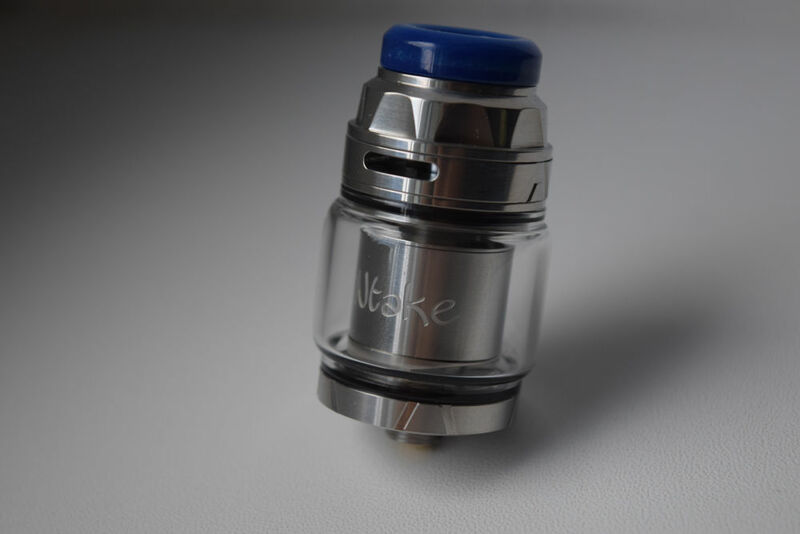 The air comes through the side airflow slots under the drip tip, goes through concealed shafts inside the metallic barrel of the tank and comes out through the sides of the barrel, hitting the coil and finally traveling upward through the central shaft, into your mouth. If the atomization chamber is dry, you’ll only be inhaling tasty vapor, but if there’s excess e-liquid in there, some of it will also travel through the shaft, and into your mouth. So ultimately, your experience with the OBS Engine (Nano or Standard) depends mostly on your wicking talents. 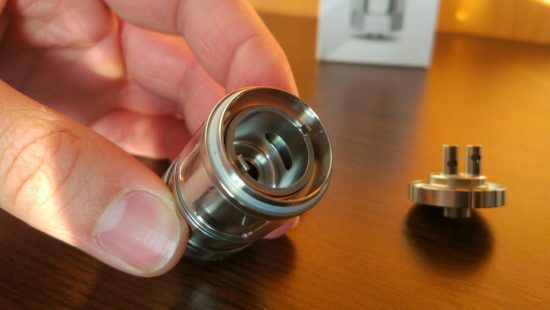 But, if you do manage to nail the wicking part, you’ll enjoy a great vape with the OBS Nano. Thanks to the improvements to the airflow system, the flavor is no even better than before. I for one was surprised by how tasty the vapor was even at lower wattages like 30W – 40W. Vapor production is nothing short of impressive, as well. 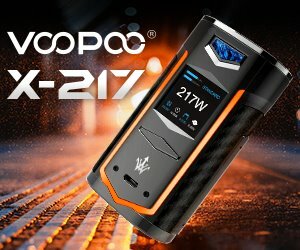 Even at low power, this thing chugs the vapor like a steam engine. Even though you can only mount one coil in it, the Nano produces huge clouds of dense vapor. They aren’t as warm as those of a dual-coil device, but that doesn’t make them any less satisfying, at least for me. I like to keep all three airflow slots wide-open for maximum vapor production, but if you feel that makes the vape too airy, you can definitely close them up a bit, without compromising on vapor too much. Another clear advantage of the OBS Engine Nano over the standard version is e-liquid consumption. 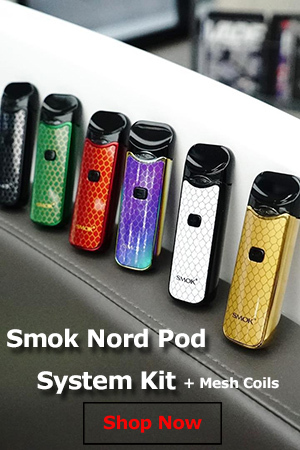 Since it only uses one coil, it goes through juice much slower than the original Engine, but the difference in vapor production is minimal, if any. As I mentioned before, the only real difference is the temperature of the vapor, but that’s not considerable either. 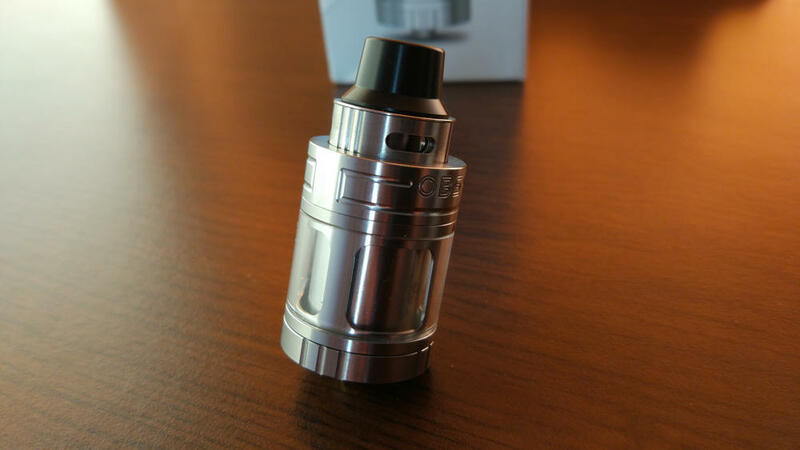 Despite its shortcomings, I actually liked the OBS Engine RTA quite a bit. The airflow system was definitely intriguing and the no-leak guarantee was definitely a plus. I’m glad to see that OBS have managed to improve on the original design, while keeping the elements that made it successful in the first place. So if you’re looking for a decently-priced quality single-coil RTA, I definitely recommend the OBS Engine Nano. I have been using the OBS Engine Nano for a couple months now(switching from the Eleaf ElloS tank) and I have to say I have enjoyed this tank more then I expected, I had an issue where I lost the Allen wrench for the grubs but easily found a multi-use precision screw driver set for cheap that had the specific hex key size I needed(added plus it has the philips head I needed for my dualshock 4 controller too). Great tank! great cloud! great flavor!